Cocaine is a highly addictive and illegal drug. Over 14% of Americans age 12 and older will try cocaine at least once in their lifetimes. Cocaine is an upper, and causes the user to become alert, energetic, and grandiose. It creates an intense, but short-lived feeling of euphoria or a ‘high’. Cocaine, or coke, is a white-powdered substance and is snorted or injected for an extreme and quick high. Crack and cocaine withdrawal can be dangerous and uncomfortable. It’s important to seek assistance when attempting to kick a crack or cocaine habit. When cocaine is diluted and boiled down to form a hard rock, it’s referred to as crack or crack cocaine. Crack is smoked. Since it is a highly concentrated form of cocaine, it’s more addictive and harsher on the abuser’s system. Crack is also a cheaper alternative to cocaine, and so it’s much more easily accessible for people with an addiction. Many people who start out addicted to cocaine quickly find their bank accounts overdrawn and will switch to the cheaper crack for a high. Cocaine and crack are very harsh on the cardiovascular system. Cocaine addicts admitted to rehab facilities have more than a 5% increased risk of fatality than the general population. Also, how cocaine and crack are consumed can cause a host of different, long-term health issues. Snorting cocaine irritates the lining of the nasal passages, and can even begin to eat away at a person’s septum, the interior cartilage that separates the nostrils. Injecting cocaine causes infection, and drug abusers often share dirty needles. The risk of contracting a bloodborne illness like HIV or hepatitis is high in people who inject cocaine. For those addicted to crack, they can wear down their teeth and the delicate tissues of the throat and mouth. The lungs become irritated, leading to an intractable dry-cough. Upper respiratory infections can take hold. Crack cocaine was so addictive and widely available in the inner cities in the 1980s and 1990s that entire communities were devastated by the epidemic. People who become addicted to cocaine and crack destroy their health, finances, careers, and relationships. In some severe cases, people who abuse these drugs can end up dead. Furthermore, long-term abuse of cocaine and crack cause massive and quick spikes to a person’s neurochemicals and neural pathways. People who attempt to quit the drugs may find themselves with severe clinical depression and a marked loss of enjoyment for activities and things they once found fulfilling. It’s incredibly difficult for people to quit abusing drugs and live a life of sobriety without outside help. 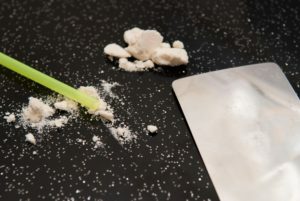 This article will explore how someone can safely endure withdrawal from crack or cocaine and go on to live a sober life. What is the withdrawal timeline for cocaine and crack addiction? There are three stages during the withdrawal timeline. Stage one is the crash stage, and starts several hours after last use and can last up to 3 days. During phase two, a person will experience physical and psychological withdrawal symptoms at a high intensity for several weeks. This part of the timeline can linger for over two months in some cases. The third and final stage can remain for months or years after a person successfully quits using cocaine or crack. While crack and cocaine withdrawals have low-risk of severe, physical complications, the withdrawals are emotionally severe, and it’s difficult for people to quit abusing the drugs without outside help and influence. What physical issues will someone encounter during cocaine and crack withdrawal? During the crash phase, people will feel irritable, restless, and experience a marked increase in appetite. They’ll have trouble sleeping, and feel lethargic. They may even start to see the first symptoms of depression or dysphoria during this phase. In stage two, patients experience intense cravings for the drug, problems with memory and concentration, and will continue to feel irritable and lethargic. They might even experience random aches and pains, or flu-like symptoms. At this stage of the withdrawal timeline, people need to be monitored for signs of depression, self-harm, or suicidal ideation. Are there any psychological issues that can arise during the crack or cocaine withdrawal phases? While for most people who undergo crack or cocaine detox and withdrawal, their symptoms will peak and subside within a week or two. But for others, such as those with polydrug abuse issues, or who’ve been using for a long time might have stage three symptoms linger for months or years. For these individuals, they’ll experience ongoing, intermittent cravings, and will probably have an official diagnosis of major depression. Since these symptoms are painful and intense, recovering addicts are at an increased risk of relapsing without proper help and outside intervention. Sometimes, people undergoing crack or cocaine withdrawals will experience powerful delusions or hallucinations. They are at increased risk of harming themselves or others if they’re not in a safe, supervised environment. What are the differences between undergoing a medically supervised detox versus a cold-turkey detox at home? Since people undergoing cocaine detox and withdrawal will experience painful and possibly dangerous side effects, they are at increased risk of experiencing physical or psychological harm. Also, the cravings for crack and cocaine are intense and persistent. If someone is trying to quit cold-turkey while at home, or unsupervised, they can get hurt. They’re also in an environment where it is all too easy for them to relapse to alleviate their cravings and withdrawal symptoms. Also, people with concomitant drug abuse might start to ramp up their use of other drugs while trying to quit cocaine. They may even abuse alcohol to lessen some of the withdrawal side-effects. If someone has any comorbid mental health conditions or starts to develop depression, they don’t have access to the care they need while at home. If someone attempts to quit crack or cocaine in a medical detox facility, these risks are significantly reduced. Doctors can prescribe safe and legal medications to alleviate uncomfortable symptoms, and therapists are on-call to handle feelings of depression or thoughts of suicide. In a medical detox facility, patients don’t have access to crack or cocaine, or to any other harmful substances. Their risk of relapsing is much lower while under the care and supervision of medical staff. What is safe to take during the withdrawal process? Doctors can give patients safe replacement drugs to help them taper off from their crack or cocaine addiction. The chances of experiencing severe symptoms are less likely if patients can wean from the drugs safely. Also, doctors can prescribe short-term sleep aids to help with insomnia. They can also monitor patients for any severe medical complications which, though rare, can arise during the withdrawal timeline. Are there any safety concerns during the crack and cocaine withdrawal phase? Yes, there are numerous safety concerns during crack or cocaine withdrawal. Patients can become deluded or experience intense hallucinations. This is more likely to occur with someone who is also suffering from a comorbid and untreated mental health condition. Up to half of the people who enter rehab centers are there because they’re self-medicating a mental health disorder with drugs or alcohol. Also, the risk of depression and suicide are high when someone attempts to quit crack or cocaine. These drugs cause significant spikes in dopamine, a feel-good chemical naturally produced in the brain. When someone stops taking crack or cocaine, levels of dopamine crash. Sometimes, they don’t recover. In these cases, the person will develop severe depression. Without the help or supervision of trained therapists and doctors, a person who has depression from cocaine abuse and withdrawal can slip through the cracks. Suicide rates are on the rise in the United States and account for almost 2% of deaths in the country per year. What will happen during the withdrawal process? In a medical detox facility, the person in recovery will be given a replacement drug to help them wean off crack or cocaine. They’ll also be accessed for any concomitant drug abuse or any underlying physical or mental health issues. During the acute withdrawal phase or the crash, the person will be monitored for any serious physical health problems, and also be given something for aches and pains or insomnia. Patients are encouraged to rest and recuperate and to eat. Cocaine and crack suppress appetite, and most people who come in for treatment are undernourished and underweight. During the second stage of the withdrawal process, staff continues to monitor patients for lingering physical and emotional side effects. Therapists, doctors, social workers, and often the patient’s family formulate an ongoing maintenance plan for the recovering individual. Patients are encouraged to attend therapy sessions, where they’re able to put plans in place to prevent a relapse with help from supportive therapists and doctors. Crack cocaine and cocaine are deadly substances, and highly addictive. They destroy a person’s physical and emotional health. The lingering effects of cocaine abuse significantly increase a person’s risk of depression, self-harm, and suicide. Don’t hesitate to seek help today for crack cocaine addiction and abuse. Speak to a qualified rehabilitation specialist and begin living a drug-free, healthy life.